Winter can wreak havoc on your skin, causing dry and itchy hands, arms and legs. Beat the winter skin blues by incorporating these simple tips into your routine. And use a cleanser that will pamper skin instead of drying it out. Scentsy Body Wash is just the thing. 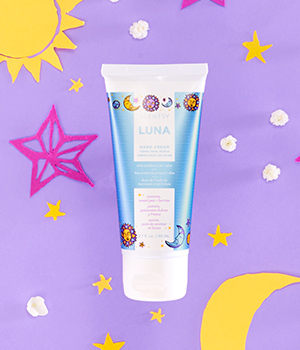 Plus, it’s perfect for everyday use with vitamin E, sunflower oil and aloe to help moisturize dry skin. Stay away from harsh cleansers. The constant hand-washing that occurs in winter to prevent colds and flu is known for contributing to cracked, painful skin. Stay away from hand soaps that contain alcohol, which will further dry out your skin. 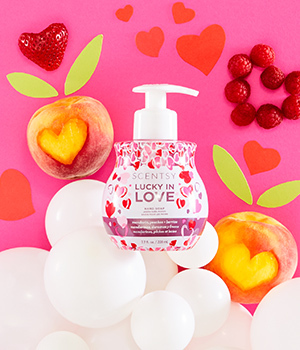 Try Scentsy Hand Soap instead — you’ll love it! 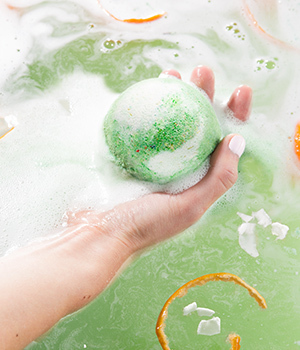 Scentsy Bath Bombs are formulated with sunflower oil, aloe vera, shea butter and other premium ingredients, so you can soak away the winter blues and moisturize at the same time. They’re more than just a pretty fizz! Scentsy Body Cream, Body Soufflé and Lotion are vitamin-infused, mega-moisturizers that help keep skin hydrated long after showering. And make sure you keep Scentsy Hand Cream in your bag with you at all times! In a convenient, travel-ready package, these little tubes really pack a punch. Did we mention that Scentsy Body products come in a variety of fragrances? Find your favorites here! There are more ways to guard against winter-dried skin than just using your favorite Scentsy Body products. Here are a couple easy ones. Sounds too simple, doesn’t it? Fact is, the skin on your hands is very thin and has fewer oil glands than other parts of your body. Gloves help keep them moist. Placing a few humidifiers in your home will help add moisture to the air and prevent your skin from drying out. Now it’s your turn. Any tips of your own you’d like to share? Leave a comment below! Separator image Posted in Health & Fitness, Our Products, Tips & Tricks.